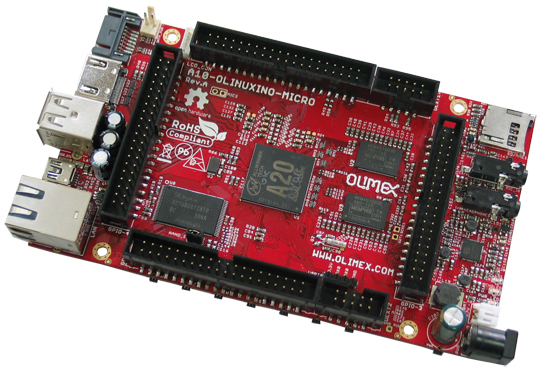 How Long OLinuXino boards with Allwinner SoCs will be available II ? With the upcoming release of A20-SOM which is now on prototype stage and will be for sale end of September we have more and more customers evaluating possibility to use these A20-SOM in their designs and we got at least dozen of such questions, so we addressed them to Allwinner directly asking how long A20 will be produced. Today we got Allwinner’s official answer. According to Eva Wu, the marketing manager in Allwinner the normal product life of Allwinner ICs is 3-4 years. This means A20 which is released in 2013 will be active at least until 2017. What Eva said is that if Allwinner decide to retire chip they notify their key customers (and Olimex is one of them) so they can make Last Time Buy for any quantity they want. With this Last Time Buy option we at Olimex commit that we can stock the chips we need for year ahead and to notify our customers about this, so effectively we can prolong the availability to 5 years which is the standard life cycle which most of industry SoC vendors (Freescale, Texas Instruments, ST etc) do. Same apply for all boards we have with Allwinner chips A10-A10S-A13-A20. Ofcourse, the manufacturers you mention also have devices that are guaranteed to ship for 10-15 years. What will be placed on the A20-SOM? Will it have the PMU, FLASH? It would be better if it didn’t had any connectors, since this lowers the cost and also allow more flexibility for the customers. Is that viable? Will the A20-SOM be the same size as the Sitara one? Will the CAN interface be exposed in the connector? I’ve seen there are now Itead A10 Core SOMs. Will the A10/A20 pin compatibility make you offer both A10 and A20 SOMs or only A20?